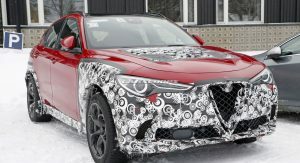 The Alfa Romeo Stelvio isn’t really in need of a facelift (yet), but the Italian carmaker has started working on one with our spies spotting the first prototypes on the road, which included both regular and Quadrifoglio variants. 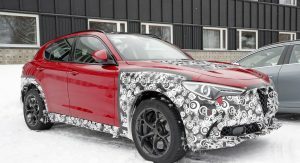 Visually, the red Alfa Romeo Stelvio Quadrifoglio tester spied doesn’t look any different than the current model. Of course, its front and rear fascias are covered in camouflage, so there’s a chance something’s hiding under there. 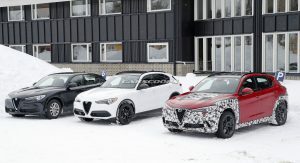 Either way, by the time the updated Stelvio does launch, we do anticipate to see minor tweaks made to the front and rear bumpers and possibly even the lighting units on both ends. 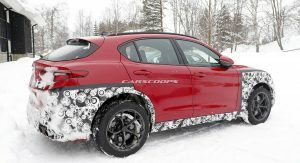 The cabin of the facelifted Alfa Romeo Stelvio will also be tweaked and our spy photographers were able to snap some photos of one of prototype’s interior before engineers could cover them up. 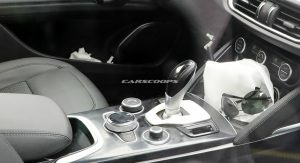 The most apparent changes made to the cabin are focused on the redesigned lower center console. 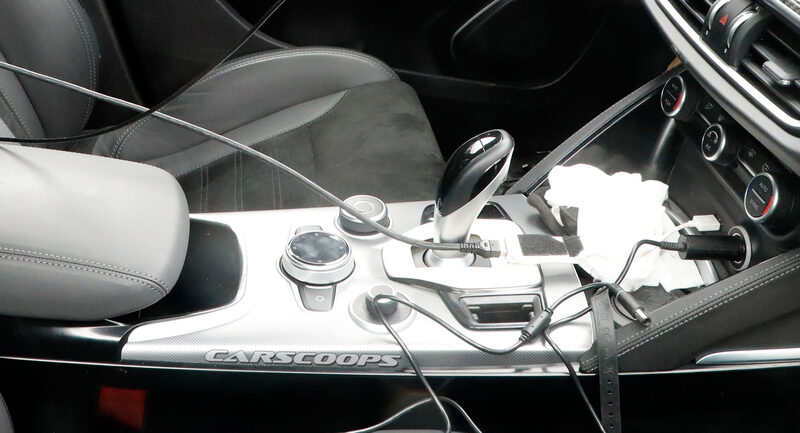 Look closely and you’ll notice a slightly different gear selector and surround, as well as the separate button for the electronic parking brake to the left of it (instead of being integrated on the gear lever, as is now). 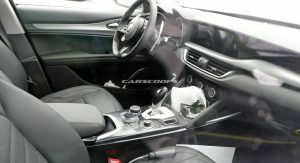 The chrome trim then slopes away from the buttons and dials and nicely meets up with the redesigned foldable, and possibly slidable armrest. 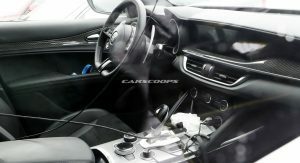 Elsewhere, the cabin looks much the same with identical climate control buttons and dials, a large infotainment system, flat-bottomed steering wheel, and large paddle shifters. 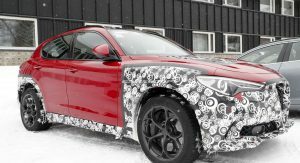 As is always the case, it’s important to point out that this is an early prototype and more styling changes could be made to the interior and exterior before the SUV hits the market. We will see other updates and tweaks too, including to the engine range, chassis and tech and comfort features. 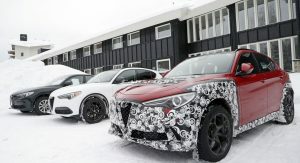 According to Alfa Romeo’s most recent product plan, both the Stelvio and the Giulia are scheduled for a facelift, which the Italians call “MCA” for mid-cycle action, that will include long-wheelbase versions for the Chinese market in 2022. 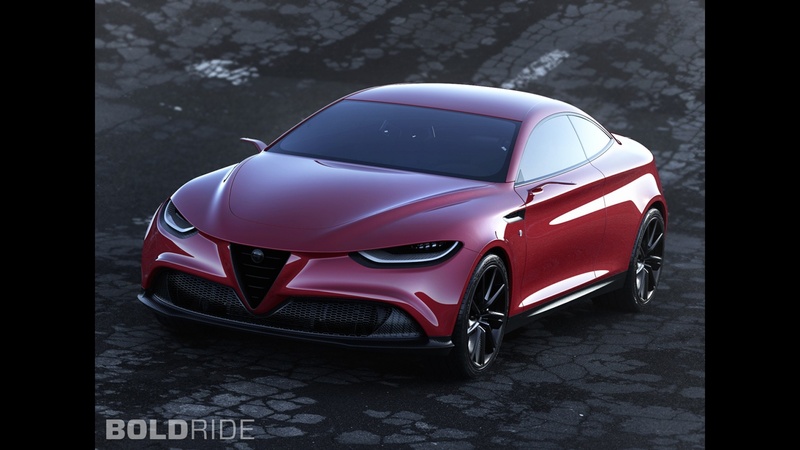 There is a (small) possibility that Alfa might introduce some of the interior and trim revisions seen here as part of a minor model year update for 2020, but to date, we haven’t heard any chatter on that from our sources. 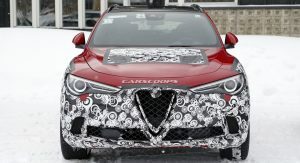 As the Giulia is essentially a sedan version of the Stelvio, it should benefit from the same interior and exterior alterations. They have to change it’s headlights urgently! you are right, although they are fine to me, but sharpen or tweaking the headlight is standard common practice thing, agreed. Wow, I have to say that like what I’m seeing. So doable and sleek. whaat? 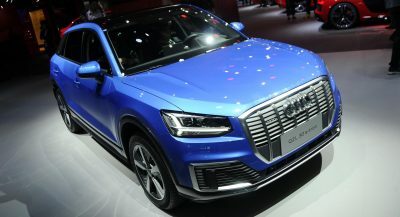 they are probably the most beautiful headlights on the suv market right now! I saw one last week for the first time, these look so much better in person than in pictures. 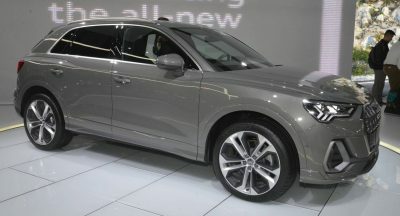 I am not saying its the greatest suv design, im just saying it does look way better when seen on the road. I’m curious, but where do you live that you just saw one for the first time in person last week? 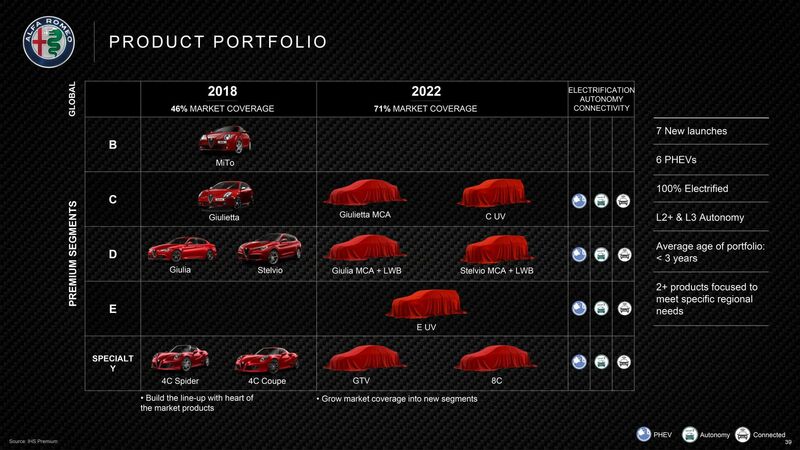 I’m not trying to be sarcastic, genuinely interested in the regional car choice differences. It’s my #1 right now ! That is becasue Alfa Romeo are designed to look good on the road and not neccesarily so in a picture. One reason a 10 year old, looked after Alfa Romeo still looks like a new car Whilst something like a Mazda or just about any Asian car, looks out of date. I wont go into American cars because most just look aout of date when new. American cars are in two camps. Designed before and after JFKs death. the post JFK are typically dreadful. 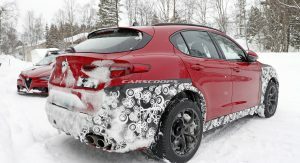 Just give us more Alfa models, 2 wont do for long, SUV I fully understand and Tonale is stunning as an Alfa should be but the overall product development is painfully slow, its the same with Maserati and almost all FCA brands except Jeep. Test drove this and LOVED it. Was amazed an SUV/CUV thing could handle this well. That said, a few dealbreakers killed it for me, and hopefully finally addressed. 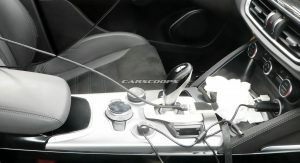 1. the interior looked ok, but felt flimsy, plasticky, and things just moved too much wherever you might press. 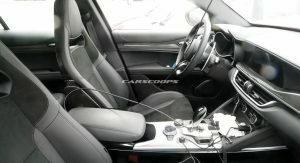 Not solid AudiBMW caliber. 2. engine was ok, but not great, a huge factor in performance anything. It sounded ok, had ok punch, but no top end and overall a let down. 350hp should be where its at. 3. a bit better packaging to give rear seat passengers a little more window and space. Feels claustrophobic. Summary, one of the best out there and with a few updates, should be dominant in its class. Much more fun than the Macan I drove too. Probably not. 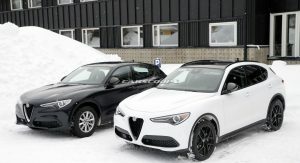 Supposedly Alfa Romeo is going to concentrate of Breeder Vans. However if you are going to concentrate on that type of vehicle it needs to meet the needs of the Breeder. The Breeders accomplice has to be able to satify the Breeders needs first before they can meet their neeeds. A sporty Vehicle that does not meed the demands of the breeder is going nowhere as far as sales are concerned. 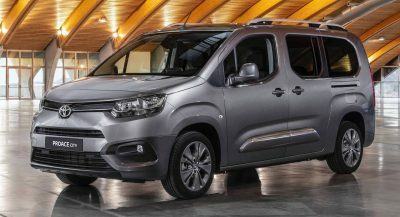 You only have ot listen to the breeders talk about these type of vehcles to know thta sporty is not a requirement. Maybe they are working on something to fit between the top of the range and the next model down. Like the Giulia, there is a hugh price gap thatashould be filled. In the Giulias case’, around twice the price between the top one and the next model down. 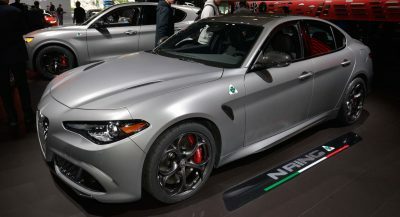 There needs to be a model that looks more like a Giulia QV but with probably a 4 cylinder engine as a base.